The rolling shutter effect creates weird patterns in the videos shot on most devices with CMOS sensors. Destin Sandlin from Smarter Every Day has created a fantastic video that explains this effect in a series of examples and comparisons. As Destin points out, even the past three years he would film the effects of the rolling shutter every time he had his smartphone and a high-speed camera at the same time. As a result, he came up with plenty of examples to simulate the rolling shutter effect, and show us why and how it emerges. It’s amazing how far sensor technology’s come in the last few years. We’ve had dual pixel autofocus, ultra high ISOs, and a whole bunch of other cool features show up. Phones and bigger camera sensors get more and more powerful with each new generation. This sensor from Sony, though, might be one of the most exciting yet. Sony have developed a way to speed up the data acquisition in a CMOS sensor. It doesn’t quite make it a global shutter, but it speeds things up enough to be almost as good, but at a much lower cost. The acquisition becomes so fast, it’ll even record full HD 1080p video at up to 1,000 frames per second. The technology seems destined for smartphones at the moment, but I would bet it won’t be too long before it scales up. Canon have announced that they’ve developed a new CMOS sensor with a global shutter and expanded dynamic range. While a wider dynamic range is always good for every camera use, the global shutter is huge for video shooters. Finally, we’ll be able to completely eliminate “jello wobble“, skew and other rolling shutter artifacts in DSLR video. The fundamental difference between a traditional rolling shutter CMOS sensor and this new global shutter is the way it records the scene. Rolling shutter sensors capture a line one line at a time, sequentially. This means that, now matter how small, the beginning and end of your exposure happen at different points in time. A global shutter records what every single pixel sees at the exact same time. Sony, is not waiting to see who will win the sensor wars, it is defining the battlefield. With rumors of new technologies being around for a while now, Sony recently released two videos showing what’s in store for their future line of sensor technology. Specifically, Sony demoed Starvis – an ultra low light technology designed for security cameras, though with the current low light / high ISO specs battle, it would not be surprising to find traces of this technology in their consumer line as well. We’re starting to see more and more sample footage from the much anticipated Sony A7R ii, which is due to start shipping August 5th. U.K. based photographer, Jon Roberts, recently got his hands on one of the cameras and was nice enough to whip up this noise test, which compares the A7R II to it’s predecessor the A7R and, also, a Canon 5D MKiii. Roberts’ notes “that this wasn’t a very scientific test under lab circumstances…more of a rough and ready preview!”; however, it’s still a solid comparison with 100% crops. 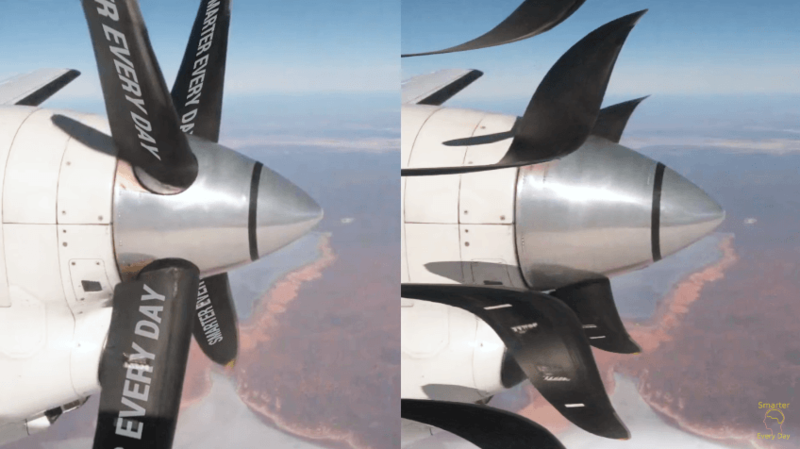 The same goes for the rolling shutter test video Roberts has shared with us, which you’ll see farther down in this post along with an unboxing video–but, we’ll get to those in a minute. Sensors are not as trivial a film. At least for me the simplicity of chemistry was always simpler than the magic of electronics. Vimeo user Raymond Siri created two quick, yet informative animations for Canon that illustrate how CCD and CMOS sensors work. The movies show how the light is filtered accumulated and then they show the difference in how the data is sent for storage. Have you wondered how something as simple as a lens design might shape your approach to off-camera lighting? And what if that same lens could shape how light is recorded within a camera? Add to that this bonus: this same lens might take what you already have and make it four times more effective? We are approaching an era where camera sensors and mega-pixels no longer matter and the darling of the off-camera lighting world isn’t what you might guess. One of the things that cinematographers care about when selecting a camera for shooting is how significant is the rolling shutter effect. Rolling Shutter is a ‘side effect where vertical lines in the real universe appear as diagonal lines ‘on film’. For example it smears buildings when shot out of a moving car or create a jello effect when the shooting camera is unstable, we explained this in length in this post. The good guys at Cinema5D took the crown challenger – Sony A7S with its remarkable low light performance and put it to the test against some of the other leading video cameras in the market: Arri Amira, Panasonic GH4, (Canon C300), Canon 5D mark III and Canon 1D C. Sadly it did not do all that well.